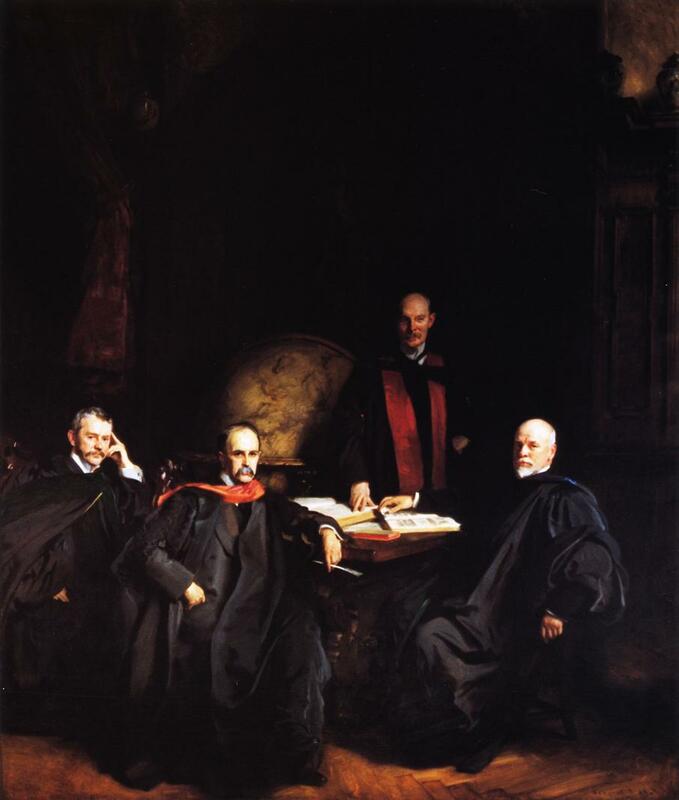 Sargentology on Twitter: "#Sargent's 'The Four Doctors' (1906). Portraits of the teaching physicians at #JohnsHopkins - Dean William Welch, William Osler, William Halsted & Howard Kelly. Apparently the background globe was so big, Sargent had to cut out parts of the wall to get it in his studio!… https://t.co/TBrh729Zsq"